Note that this is “soap making for kids” and not “soap making for toddlers.” Sweet T was a little too young to completely engage in this craft, but she had fun adding the fragrance, coloring, and toys to the soap. And she’s certainly enjoying the finished products! We found a six-pack of sea creature bath toys at our local Dollar Tree so when the soap gets used, the kids have a squirt toy to use in the tub. Since I had the other materials at home already these wound up costing pennies. 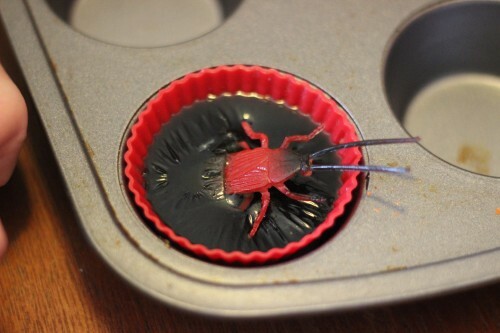 Perfect party favors! 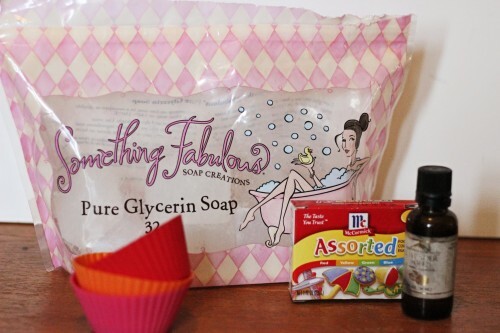 Microwave one block of glycerin soap in a pourable microwave container for 30 seconds or until liquefied. 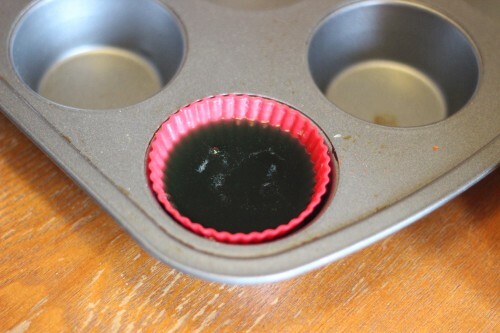 Add 1-2 drops food coloring and 1 drop essential oil. Add glitter if desired. Stir. 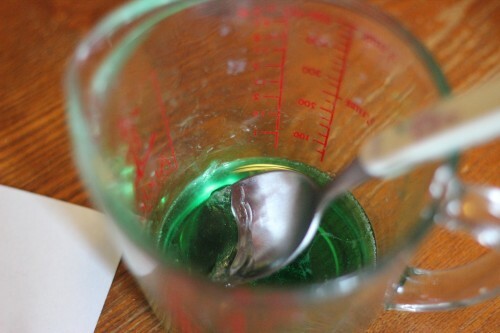 Pour into silicone mold and allow to cool for a couple of minutes before nesting toy in partly solidified soap. The soap will be ready to remove from the silicone in a little less than an hour. All of our glitter sank to the bottom, but Sweet T likes it all the same. 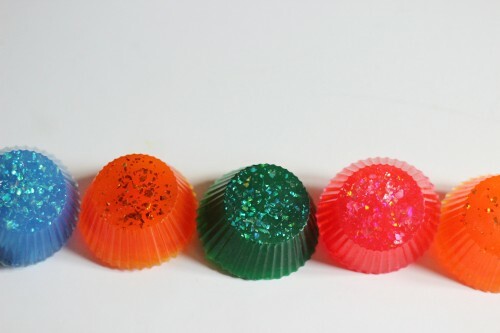 There’s lots of variations for soap making with kids. I found small magnetic letters at Dollar Tree to use to make initial soaps. And really, if I can make cockroach soap the possibilities are endless. What will you come up with? 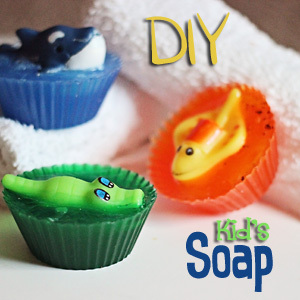 Have fun making soap with your kids!